I don't think anyone would disagree that life is messy. It doesn't always make sense. As much as we use our (mostly) rational minds and science to contain life's experiences in an orderly box, the next moment something spills into the unexplained. As the apostle Paul puts it in his letter to the Corinthians in the Bible: “For now we see through a mirror in darkness” – we're operating in a world that we still only know in part. 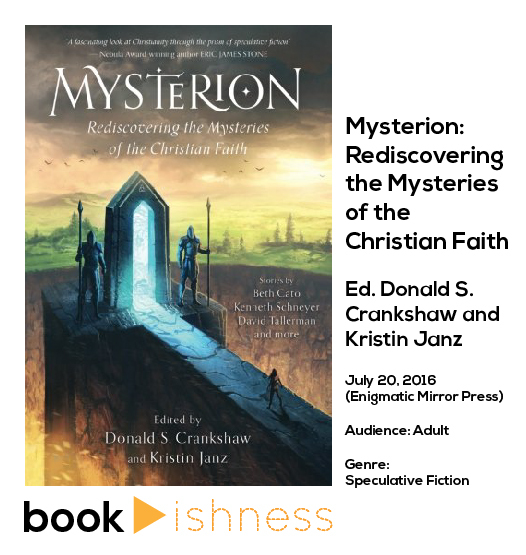 The anthology Mysterion: Rediscovering the Mysteries of the Christian Faith offers a creative approach to this partial perspective of ours, with speculations on the many unknowns within the faith. This loose theme results in a wide range of stories from both Christian and secular authors, making you ponder angels and aliens, theology and technology. Whether or not you're a spiritual person – and even if you're not typically a fan of science fiction and fantasy – this serious, humorous, and irreverent collection is worth picking up. Some of my favorite stories include the somewhat predictable yet creepy “Cutio,” the rather adorable “St. Roomba’s Gospel” (a perfect holiday read), and “Too Good to Sin,” a considerably different view of the heavenly realm. “A Good Hoard” reads rather like a fairy tale, while you’ll find threads of Roswell in “The Angel Hunters.” Several stories, like “Of Thine Impenetrable Spirit,” address the Babel-like strivings of humanity. And “This Far Gethsemane” left me thinking long after I had gone on to other tales. 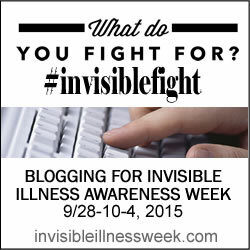 It’s best not to give too many details, though – spoilers! I don't usually read Christian fiction since it can often be trite and heavy-handed, but I found this collection to be a pleasant surprise. But as with any anthology with a variety of authors, you'll find some stories sublime while others not quite delivering. Some inclusions might also need to be taken with some reservation. For instance, “A Lack of Charity” is graphically -- perhaps gratuitously -- violent, while others are theologically questionable for those with orthodox beliefs. However, discerning readers will still be able to appreciate the breadth of storytelling, in the struggle to understand “the mirror in darkness.” Mysterion was one of my favorite reads of 2016 and might well become yours for 2017. The cover art for the anthology was released a few weeks before its release, and seeing it was the perfect teaser. Instead of relying on overt Christian imagery, the artist Rob Joseph and designer Kirk DouPonce of DogEared Design went for a suggestion of a gateway to the beyond, giving enough atmosphere to sense the otherworldly without banging you over the head with crosses or lions. I can't help but think of scenes from The Fellowship of the Ring, as Frodo and company head through the mysterious Gates of Argonath. It seems fitting that the reader is such an explorer. You can find more about the cover art process and design on the Mysterion blog. Note: A version of this review appears in the Stone Hill Church Readers' Reviews. Disclaimer: I am a Patreon donor for Mysterion and have friends close to the project.